Do We Thank God or Take Things for Granted? It’s so easy to take things for granted and to slip into being ungrateful. We turn on the faucet and water comes out. We flip on a switch and the light goes on. We turn on the key and the car starts. We open the cupboard and find food there. But do we stop and thank God for those things? On one of the days of our pilgrimage last year, my friend and I had walked about 15 miles that day and were very ready to stop. Tired, dusty, and hungry, we decided to stay in the next town. However when we got there, we learned that there was a big wine festival happening in the area and there were no rooms available. Not what we wanted to hear! We were exhausted and needed somewhere to sleep that night. After stopping at several places, we were getting desperate. Then someone told us about a place right outside of town that might have space. The man was nice enough to call ahead and indeed, they had two beds left in a public dorm. 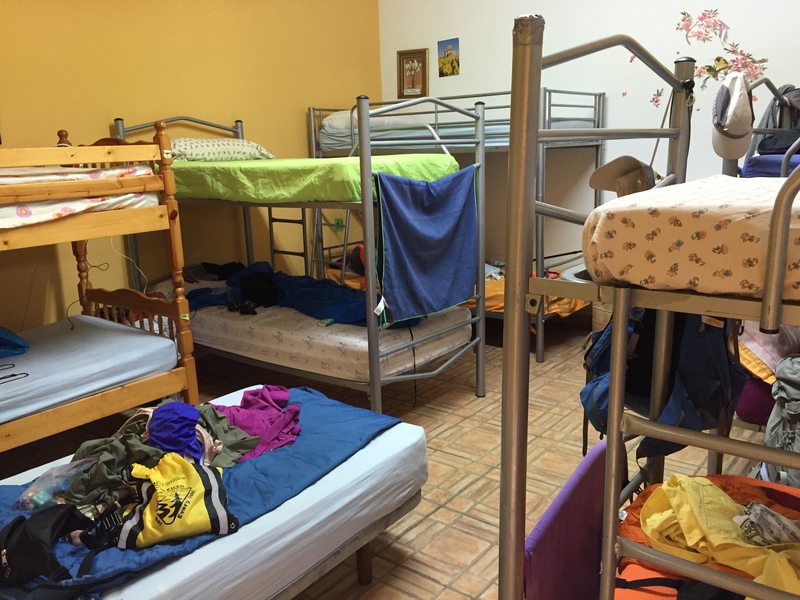 The place was dirty and crowded but we were so grateful for a bed and shelter that we didn’t care or complain. To drive this message home further, the next day we walked by a bus station and saw many refugees from Africa waiting to catch buses. We could only imagine the pain and suffering they had been through to reach Spain, and our hearts were filled with compassion and empathy for them. How often had I thanked God for a bed to sleep in each night? Not often enough, that’s for sure. Being deprived of something often makes us grateful. Another gift we grew to appreciate more is water. Water is a precious gift that we so often take for granted. 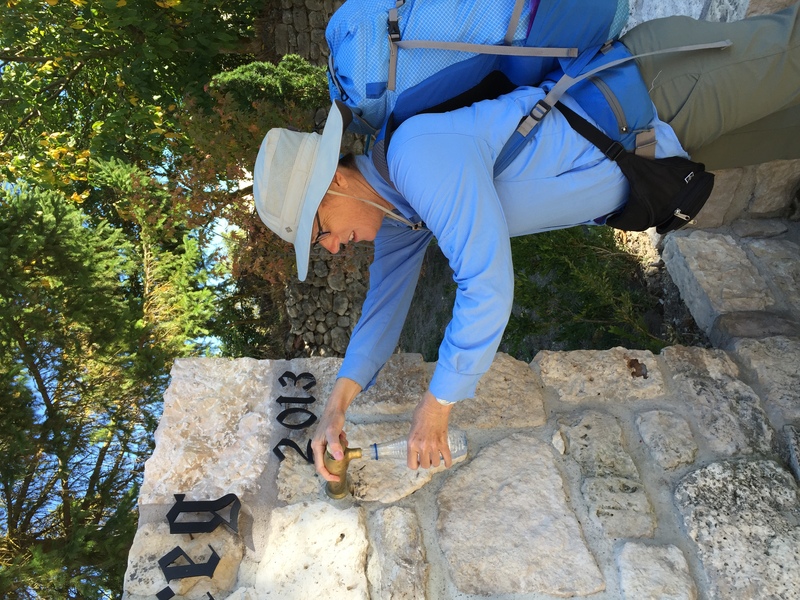 On the Camino pilgrimage you carry water with you in your backpack, and water is quite heavy. But there are stretches of walking where there are no fountains around so you need to carry a supply with you. More than once, we ran low or even ran out of water, and oh how grateful we were when we found a place to refill our water containers. I had never thought of that before and had never thanked God for that, but I never forgot it. Instead of waiting to be deprived of something before we appreciate it, let’s work on being grateful every day for simple things, for things we usually take for granted. We are blessed in so many ways, and God deserves our praise and gratitude. Amen! I am grateful for the friend that is willing to help you carry your load.